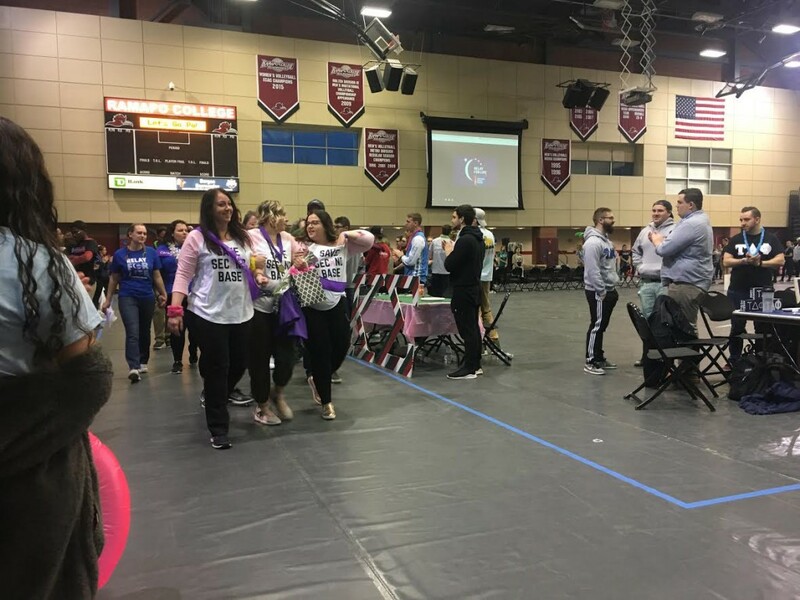 Ramapo's Relay for Life event was a huge success this past Friday in the Bradley Center's Auxiliary Gym. Clubs, teams, honor societies, Greek life and other groups came together for this beach-themed event, "Surfing for a Cure," and were able to raise over $36,000 for cancer research. This 12-hour long event was not limited to just walking; plenty of games, activities and food were available for every participant. They were also given a lei to sport, and the gym was decorated with palm trees galore. Many clubs and organizations even volunteered to serve the event, whether it be running a booth or setting up the décor. Autumn Laird, who participated in Relay for Life as a member of the Honors Program, Alpha Phi Omega and Ramapo's field hockey team, was grateful to be a part of this event. "We honored survivors, people still fighting and people that had passed," she stated. "It was good to walk with many like-minded people to fight for a cure." Relay for Life is a cancer-fundraising event, and these 12-hour walks are apparent across the globe. By participating in Relay, one becomes an active supporter of the American Cancer Society. Ramapo's Relay was 100 percent non-profitable, and all proceeds are benefiting cancer research and hospitals in the Mahwah area. Ramapo's Colleges Against Cancer club set up this successful event, and the planning process has already begun for the next year. We look forward to see what is in store for next year's Relay.